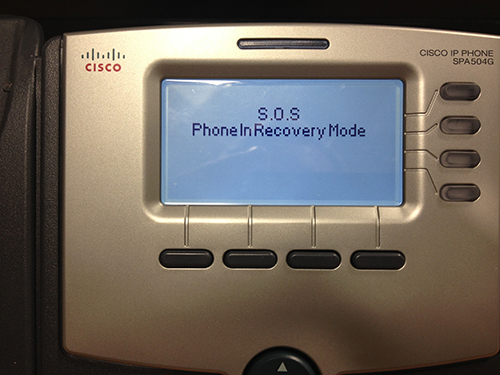 When firmware is not successfully updated on a Cisco 50xG phone, the phone could enter into a unusable state called S.O.S Recovery mode, this usually occurs when power is lost during a firmware upgrade. 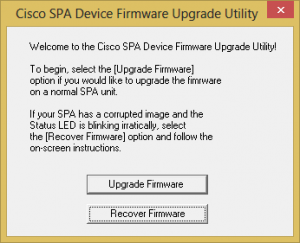 The Cisco SPA 50xG phone will automatically try to fix itself by attempting to download firmware from the "last upgrade URL"
4. Once you have downloaded and unzipped the Cisco SPA 50xG Recovery Tool, run spa5x5-7-4-4-recovery.exe then enter the serial number of your phone (if you do not know the serial number of your phone, you can use "FFFFFFFFFFFF"
Please note this website requires cookies in order to function correctly, however they do not store any specific information about you personally. Additionally we use Google Analytics to monitor site use and help us improve your experience. No personal data is shared in this process.